A great shave on this beautiful morning. Yesterdays shave with the Black Handle should have tipped me off. I knew it was special, but didn't have a clue what was to come. Todays shave was quite simply the finest shave I can remember - ever. Comfort, closeness, speed, all off the scale. I never even felt the blade! That's scary when one is using a Slim set to 9. I actually like to feel the blade at that setting so that I don't get sloppy. I normally make 2 passes just for shits and giggles, but after feeling the face after the first pass, if I had gone to touchups after that 1 pass I have no doubt that it would have been a one pass BBS. I made a full 2nd pass anyway then moved to touchups for the problem areas. I have no doubt that it was absolutely the fastest BBS I've ever gotten. I'm curious now to see how long it takes to grow out of the BBS. Even if these blades don't give me the required 7 shaves I'm tempted to buy a mess of them anyway. Edit: over 12 hours later and the shave could still be considered a DFS. Last edited by ShadowsDad on Sun Nov 20, 2011 9:59 pm, edited 1 time in total. Wow--what a nice shave! I had received the Gillette Super Thins as a sample some time ago, but hadn't yet used any of them. The Futur needed its blade changed this morning, so I installed the Gillette blade. 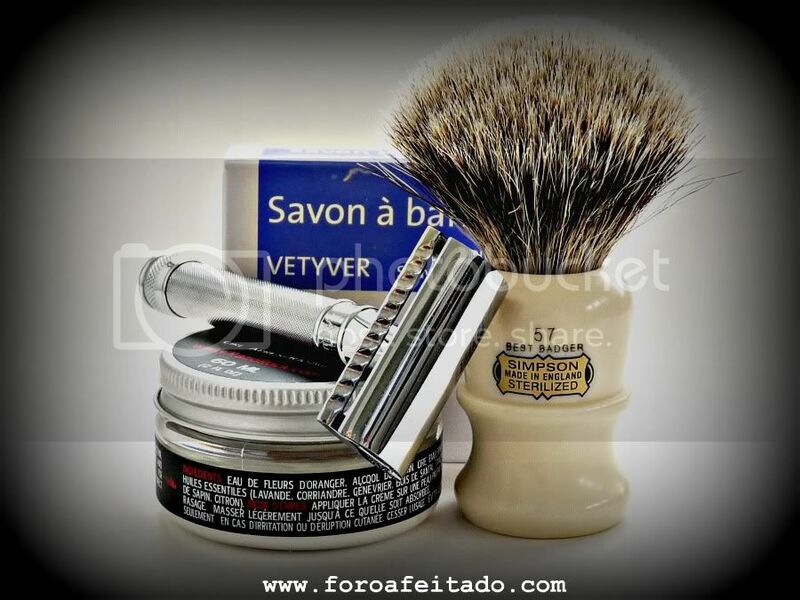 It seemed marvelously sharp and smooth, giving an effortless BBS shave. Of course, this is only one shave in a razor that tends to bring out the best in blades, but I'm impressed. Time will tell how many shaves I can get from one of these blades, and I will have to try them with different razors. I believe the blade is made in India, although I could find no information on the pack. The Portman Square "croap" performed like a champ, and the Meehan Bay Rhum was just the ticket to provide a fine finish. After hearing comparisons between the Polsilver blade and the Super Iridium, I had to give it a try. While the Polsilver is definitely a good blade, my first impression is that it is neither as sharp nor as smooth as the Iridium. Just another case of post Iridium hype IMHO. 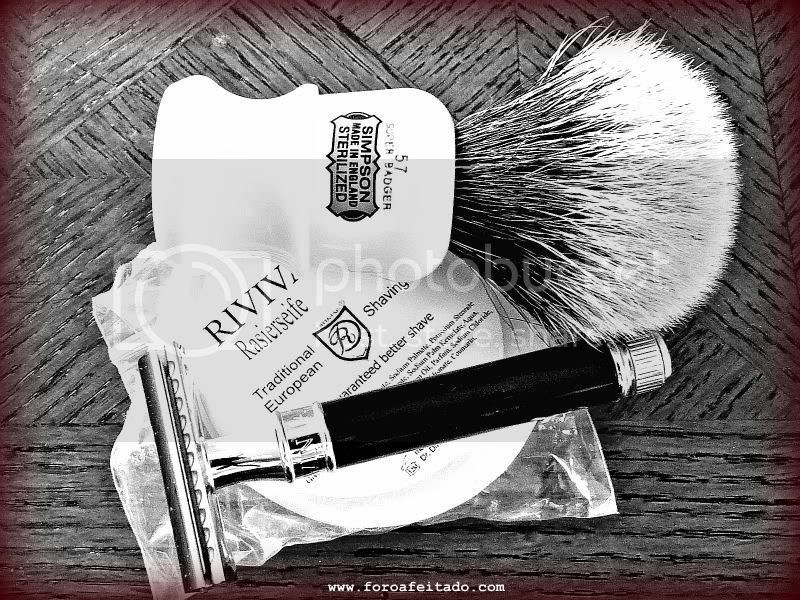 I received great lather from the MWF and enjoyed a very good shave. Thayer's Peach Witch Hazel, blended with a bit of lather and massaged into the skin. This brush was a gift from Morrie. It has a knot of approx 16mm and a loft that looks all of 60mm. It has no density and no backgone, yet it loads very quickly from a cake of soap and it makes lather in a bowl with amazing ease and efficiency. I am very pleasantly surprised and impressed with this brush. A great shave, using some fine products no longer in production (discontinued products are indicated by asterisks).